Drive operational excellence by effectively matching individuals with specialized skillsets' requirements with Government Agency requirements. 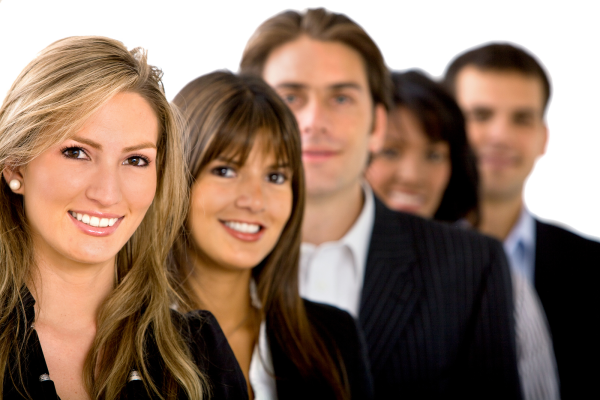 APN regularly recruits and places administrative personnel at all organizational levels. This includes: Accounting, Bookkeeping, Cashiers, Family Advocacy, General Managers, Human Resources, Insurance, IT, Logistics/Supply Chain, Project/Program Management, Process Improvement, Sales, Service, Underwriting, and more. One of our specialties is placing hard-to-find skillsets into rural areas. APN works in a team-based approach as a Temporary Staffing Agency, combining 22 years of experience in recruiting, Total Quality Management, HR and accounting. We employ Subject Matter Experts (SME’s) and experienced Recruiting personnel, so you get a partner that understands your industry and your Agency's needs. We provide personnel that truly fit your organization, and your Agency's technical and human requirements. Our experts in accounting, finance, Total Quality Management and Quality Control ensure that contracts are compliant with all technical, accounting, and reporting requirements. We regularly qualitatively and quantitatively assess our internal and external performance so we understand current performance relative to objectives, determine areas of opportunity for improvement, perform Root Cause Analysis, perform Kaizen (Continuous Improvement) and regularly provide our clients with statistics on APN performance. Our scalable, systematic processes are largely inthe Cloud (all essential systems are encrypted at rest and in transit in the Cloud), allowing our administrative employees to work from wherever there is an internet connection and allow our personnel and clients to access important information and continually communicate and work together. So, in the case of an emergency, our administrative personnel can work from anywhere. Also, we employ project management tools to plan and monitor activities throughout a contract’s duration. Because these tools are based in the Cloud, our Project Plans, Action Plans, Kaizen (Continuous Improvement initiatives) and performance are completely transparent internally and externally (based on permissions) and available anywhere, in real time. Besides screening candidates and monitoring and maintaining licensing, CE’s and other compliance requirements, APN continually educates its staff on best practices associated with their roles and responsibilities, so they provide superior service in all areas associated with the assignment. We also educate our staff on TQM and Process Improvement, so they more readily recognize areas of opportunity for process improvement and can more effectively participate in developing, analyzing, implementing and sustaining process improvements internally and externally. Contact APN to learn more about our Government Administrative Staffing Services.